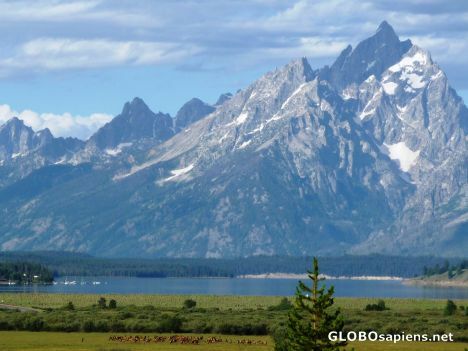 Four herds of elk wander through Grand Teton National Park. We found this herd at the north end of Lake Jackson, with the mystical Grand Tetons behind them. For some reason this looks like a motion picture backdrop - great pictire.